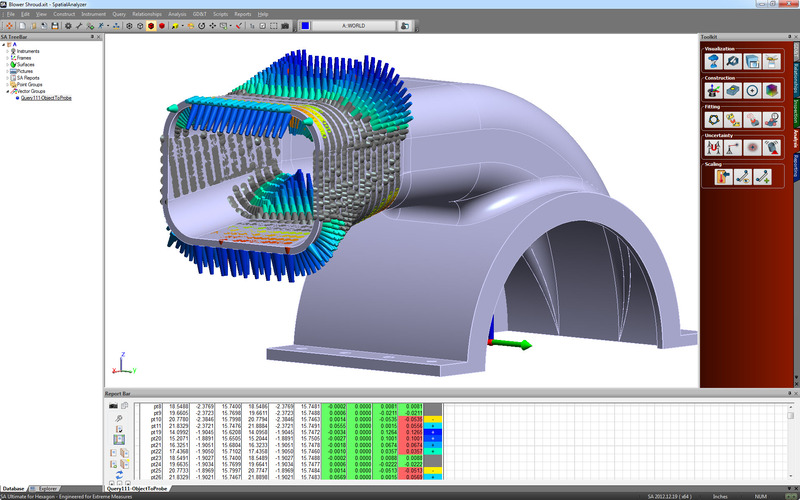 SpatialAnalyzer® (SA) by New River Kinematics (NRK) is the essential measurement, alignment, and reporting software for all portable metrology instruments in large-scale manufacturing settings. 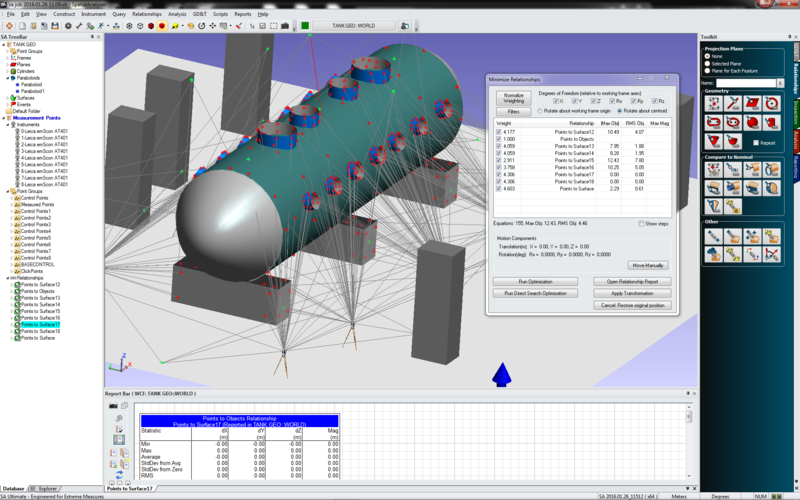 There are two main SA software packages that address different precision measurement needs and goals. 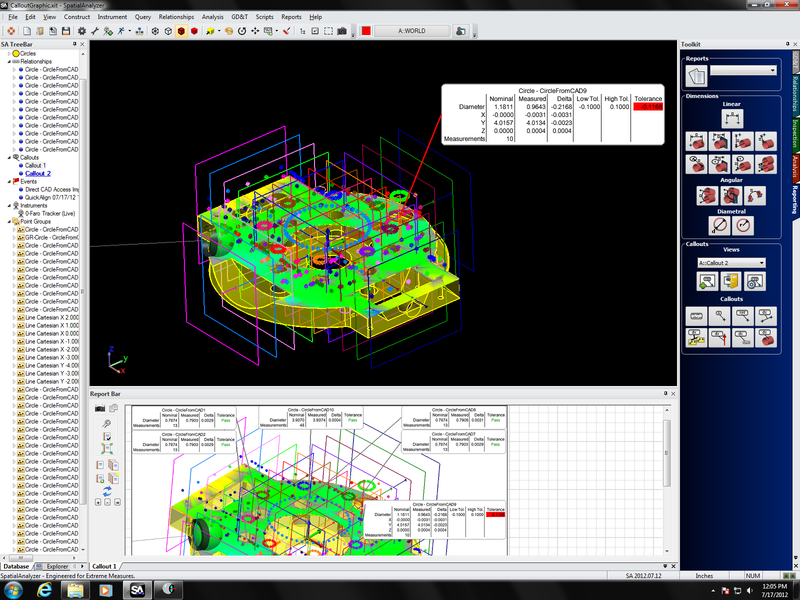 Both SA packages can simulateously communicate with virtually any number and type of portable metrology instruments. 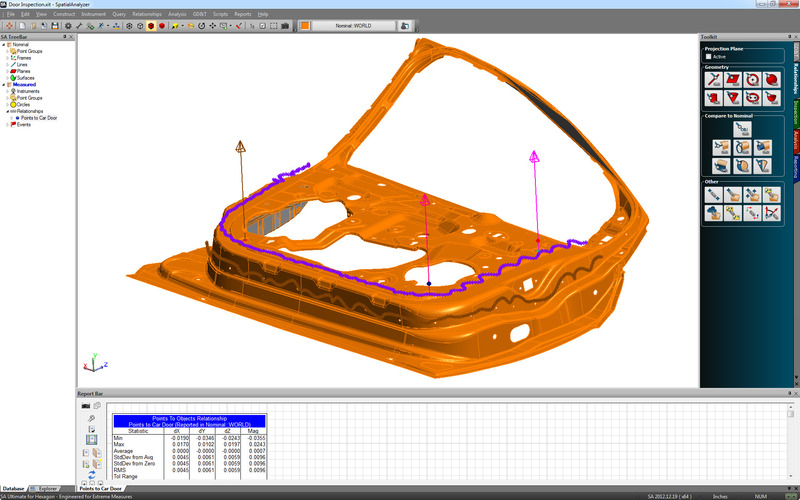 Custom software solutions are also available for customers with unique metrology challenges. Click here to access the SA fact sheets and for a detailed features matrix. 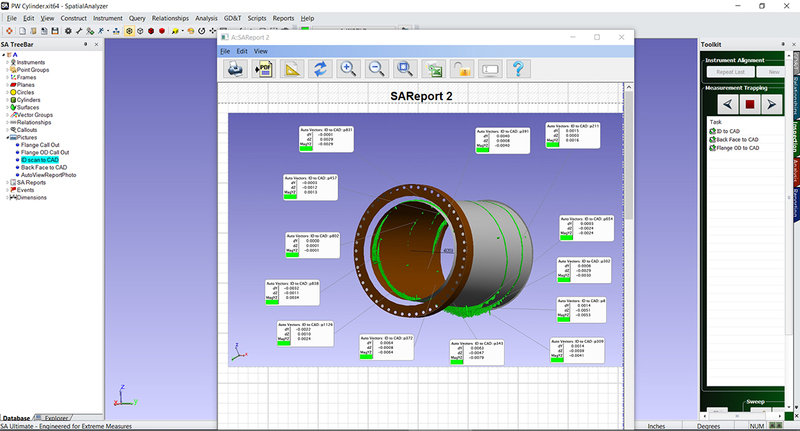 SA Professional with Native CAD is the professional measurement, alignment, inspection, analysis, and reporting software for all portable metrology instruments. In addition to all essential measurement needs, it includes several key inspection features, geometry inspection, and measurement automation. SA can simultaneously communicate with virtually any number and type of portable metrology instruments. This includes laser trackers, arms, laser radars, scanners, projectors, theodolites, total stations, and photogrammetric devices–all featuring a common interface for each instrument class. 100% traceability from measurement to reporting. A variety of alignment methods ranging from traditional 3-2-1 alignments to more advanced surface fits. Relationships are dynamic in nature and update automatically if part alignment or data changes. Permits both graphical and numerical depiction of measurement uncertainty. 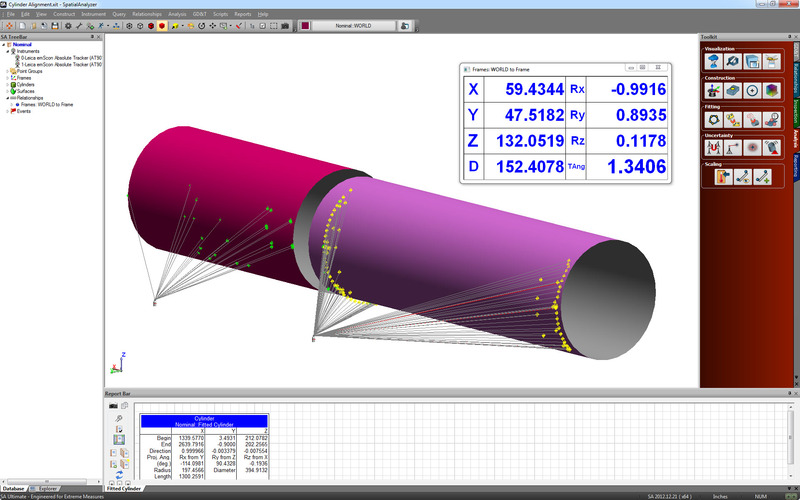 Import CAD with GD&T annotations, create annotations manually, and inspect to GD&T standards with real-time reporting. 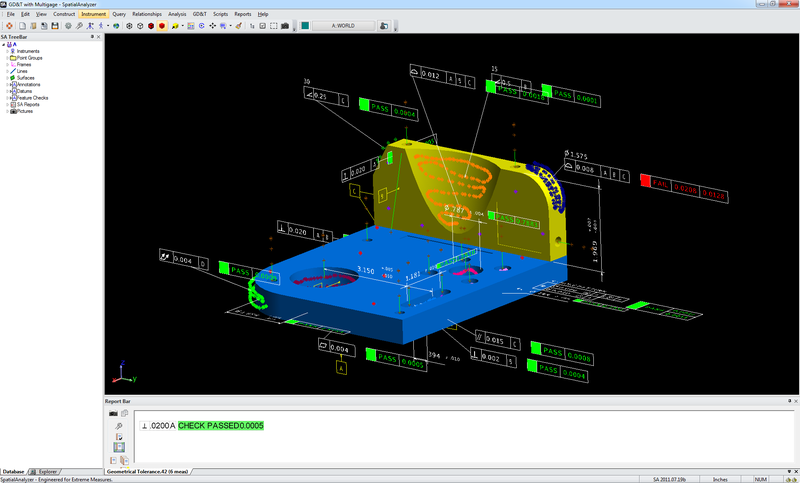 Define design-based inspection routines from a CAD model or primitive geometry. 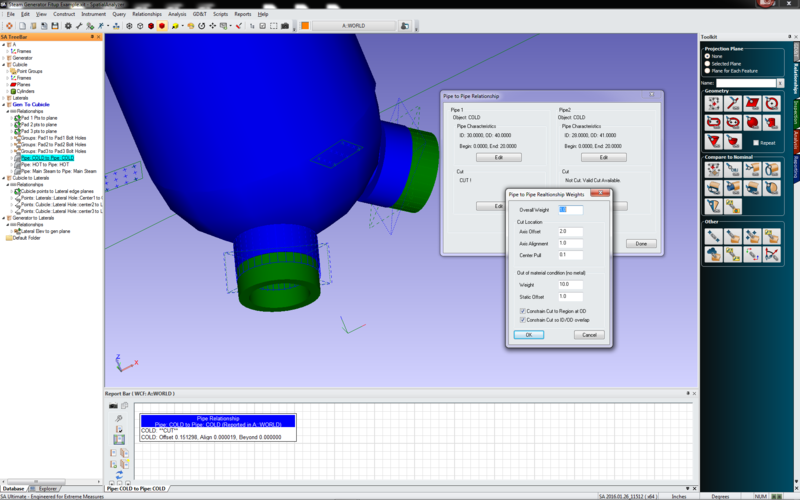 Import support for such major applications as CATIA V4, V5, Pro/Engineer, SolidWorks, Unigraphics, and other CAD formats. 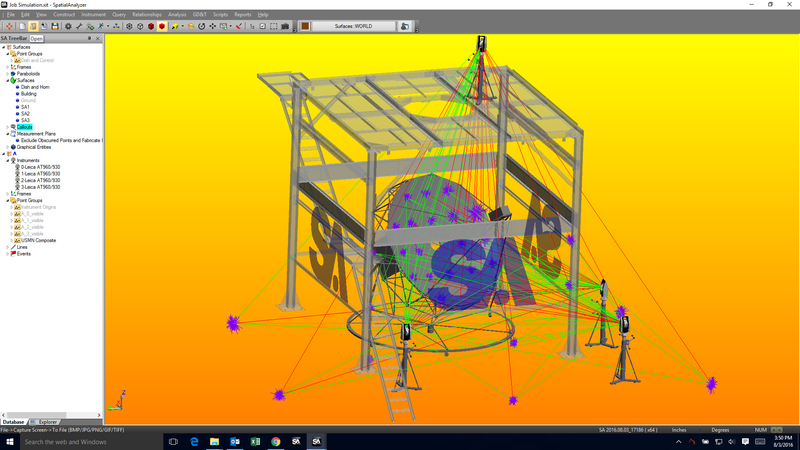 SA Ultimate plus Native CAD is the premier measurement, optimization, analysis, reporting, and automation software suite for all portable instruments. SA Ultimate is inclusive of everything contained in SA Professional, plus the features below. 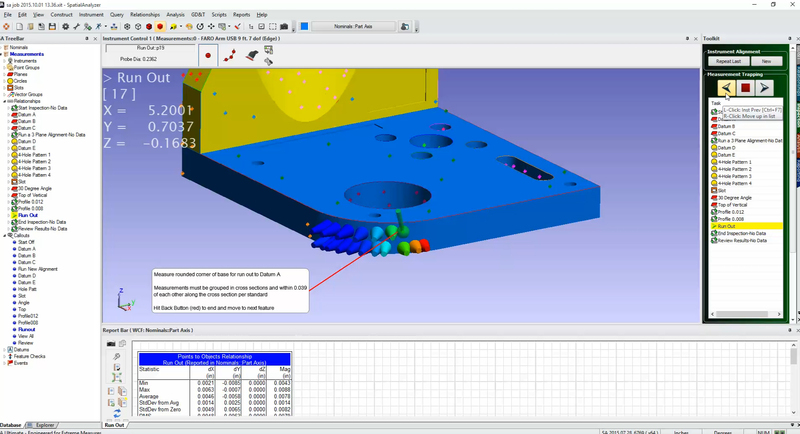 Track moving parts in real-time so that you can monitor a part’s position as it is guided into place. Provides the power necessary for advanced alignments and can help bring an out-of-tolerance part back within tolerance. You can also define fit envelopes to satisfy multiple constraints/ requirements. A powerful feature that leverages the uncertainty characteristics of different instruments to provide a much more accurate instrument network than that of traditional alignment methods. Generate simple to complex scripts that will greatly improve workflow and productivity, eliminate errors and save significant resources. Used in large piping applications when precision measurements and optimization are required. An additional reporting feature that allows you to transfer SA data to databases and track projects/data long-term. SA Analysis includes all functionality of SA Ultimate without the ability to connect to a device. The SA Robot Calibration Appliance gives you the ability to implement a calibrated kinematic model of the robot within your native robot language programs. So, from the robot language, you can trigger metrology measurements at various robot poses, run a calibration on that data, and then use the calibrated model as you continue your program, moving the robot as you normally would. 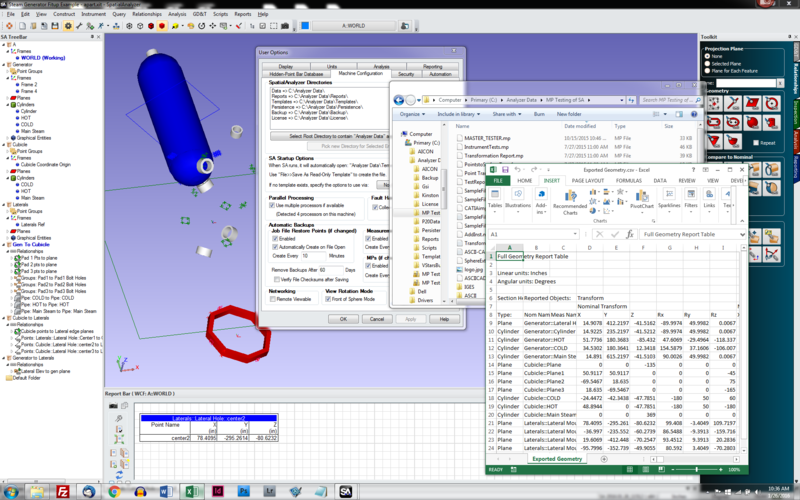 This is accomplished through a small, stand-alone, computer that the robot controller can communicate with in order to access the calibrated kinematics. This means that you never have to modify the kinematic model that is internal to the robot. 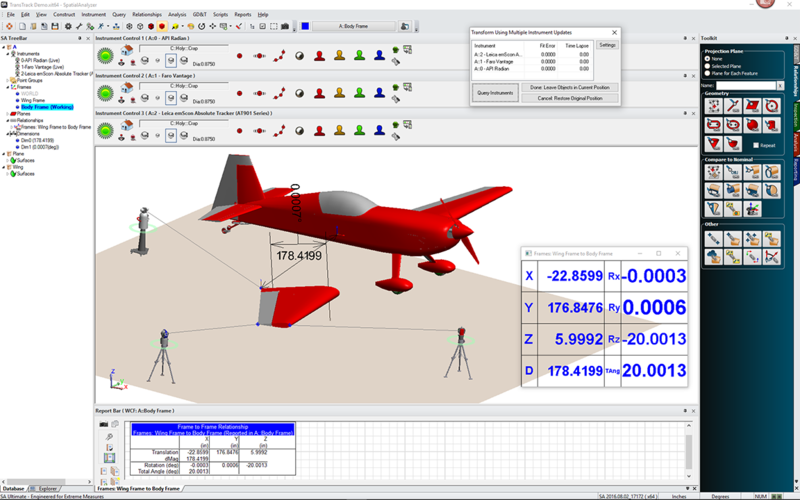 Instead, the calibration appliance allows you to work around it and use an external, calibrated, kinematic model. 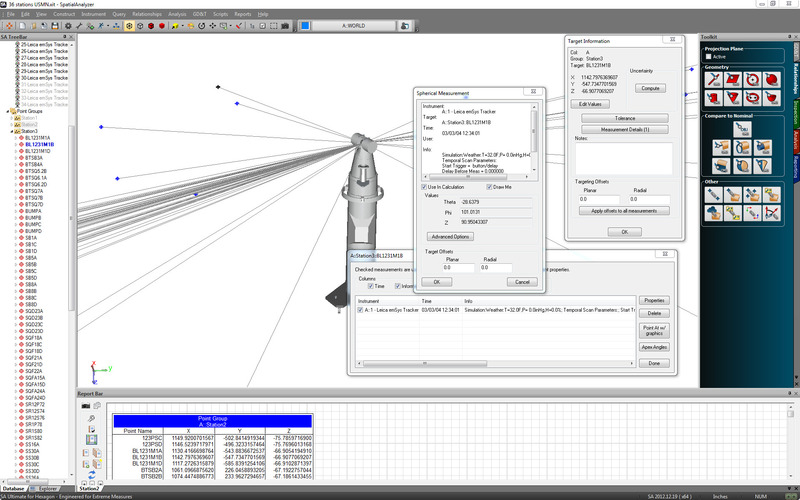 An added feature is that you can easily switch between multiple kinematic models for different areas of focus. 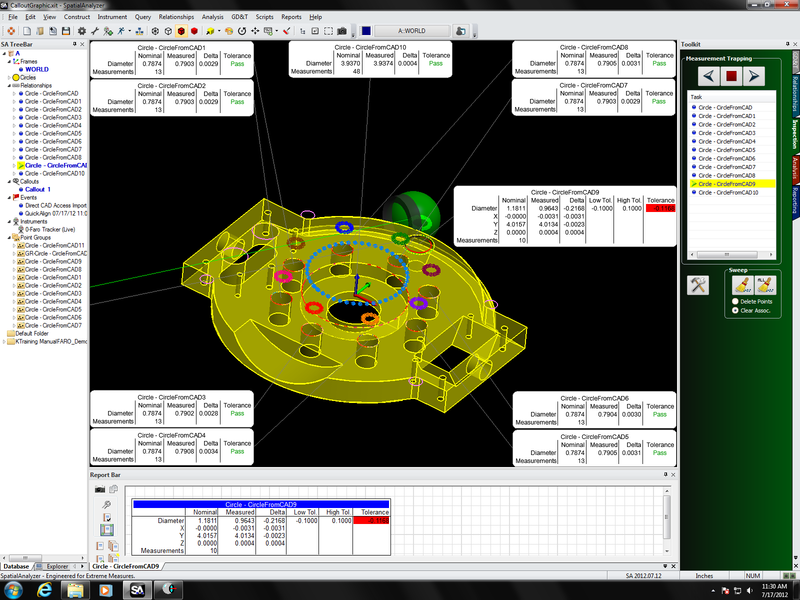 This allows you to locally calibrate the robot for a task and gain even higher accuracy. The metrology measurements used in the calibration process are taken using the SpatialAnalyzer (SA) measurement platform. You simply connect SA to the calibration appliance over the network, and then the appliance will trigger measurements as required by your robot program. 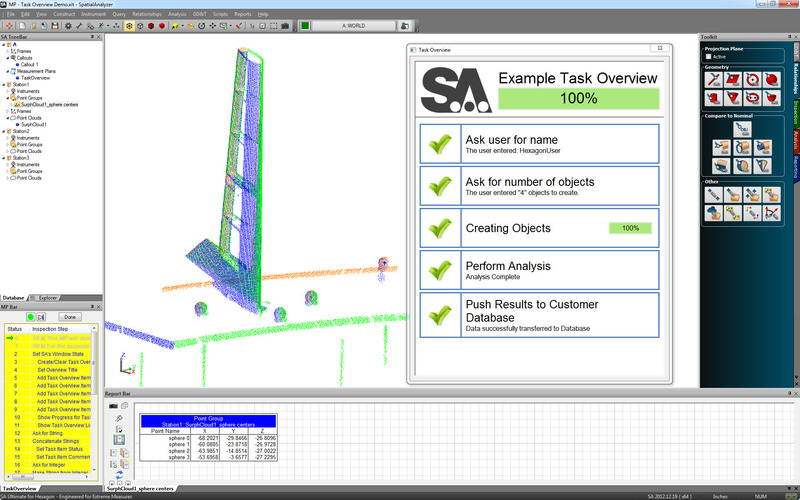 Once the calibration is complete, SpatialAnalyzer is no longer required and the SA Robot Calibration Appliance can serve up calibrated kinematics to the robot as a stand-alone device. Click here to see the SA brochure and fact sheets. Click here to request more information or get in touch with our sales team.